I’ve listed only the current generation of cameras that apply, and only those that can be used at the eye (EVF). Many of these mounts have previous generations you could pick up on fire sale or used, or more compact-style cameras. I’ve only listed lens options from the camera makers themselves. Third party lenses add quite a bit to the m4/3, X, and E/FE mount offerings (and all the DSLR offerings). At the moment third parties don’t add anything useful to Nikon CX or Leica T mounts except through adapters. I’ve left off some speciality type lenses, such as fisheyes and tilt/shift. All focal lengths listed are in 35mm equivalents to allow for more direct comparison. Many values have been rounded a bit. By “Fast Zoom” I mean any zoom that doesn’t stretch beyond f/4 at the telephoto end. That includes constant aperture f/2.8 and f/4 zooms, as well as a few zooms that have specs such as f/2.8-4 maximum aperture. The Pentax DSLR lens lineup will look a bit strange to their user base as I’ve had to apply APS crop to all the lenses to get equivalents (they only offer APS crop bodies at the moment, even though many of the lenses were designed for full frame). The reason why we keep hearing about leaks of users from DSLRs to Fujifilm, Olympus/Panasonic, and Sony mirrorless systems should be clear from these tables: those three mirrorless mounts have a pretty strong set of choices in place. You can already get more primes in m4/3, X, NX, and E mounts than Nikon has produced DX primes or Canon EF-S. The same is true of fast zooms, too. m4/3 continues to be the most “built-out” alternative, with four current DSLRish bodies, 10 primes, and 5 zooms in place. With Olympus and Panasonic working together, they’ve managed to fill out the m4/3 system fast. Fujifilm and Sony are also moving quickly with their systems, though they lean on third party lens makers to help. Nikon is making DSLR-like primes and consumerish zooms for the Nikon 1 system, which is yet another of those design dissonances I keep writing about. 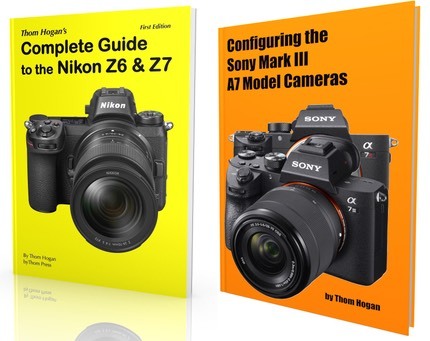 Someone at Nikon really needs to figure out which thing they’re doing, or they need to step things up and deliver both consumer and prosumer in more consistent form. Leica T is mostly consumerish! Odd for a high-price maker, but I’ll have more to say on that when my review of the T appears shortly. Fujifilm isn’t overly focused on the consumer side. I suspect they’d rather sell consumers the X30. Samsung started on the consumer side, but most of their more recent offerings seem to be focused on the higher end DSLR-type user. So what’s my takeaway? In terms of DSLR or DSLR-like cameras with a broad non-consumer lens set you can choose: Canon EF, Fujifilm X, Nikon FX, Olympus/Panasonic m4/3, Pentax K, or Sony E/FE. Canon EF-S and Nikon DX also come into play because they can use those companies’ full frame lenses, though that tends to make them a bit telephoto-heavy and wide angle light. And that last bit is just one reason why Canon/Nikon DSLR users are leaking to the mirrorless systems: to stay small and light, the Canikon crop DSLRs are forcing lens compromises on customers. What I haven’t discussed here is the sensor size issue. This is a bit tricky as it really depends upon what your output intentions are. Frankly, up through about what the desktop ink jets can produce (e.g. 13x19” prints), I’m not sure there’s enough differential in capability in the ISO range up to about 1600 to make that a primary consideration. Sure, if you’re primarily a low light shooter or have some specific low light needs, then bigger sensor is better, all else equal. But frankly, these days I don’t think much about the difference in sensor size between APS (DX) and full frame (FX). I do think about it a bit with m4/3, though I should note that m4/3 has a lot of fast lenses that help those cameras in low light. About the only system that I consider mostly a “good light” system and problematic in low light is the Nikon 1. Update: added full frame primes to the crop sensor boxes for DSLRs. However, note that the larger image circle for full frame primes tends to make them bigger than they’d have to be for a crop sensor camera up through about 100mm.